Man born into all deaf family talks about why he would give up his hearing. 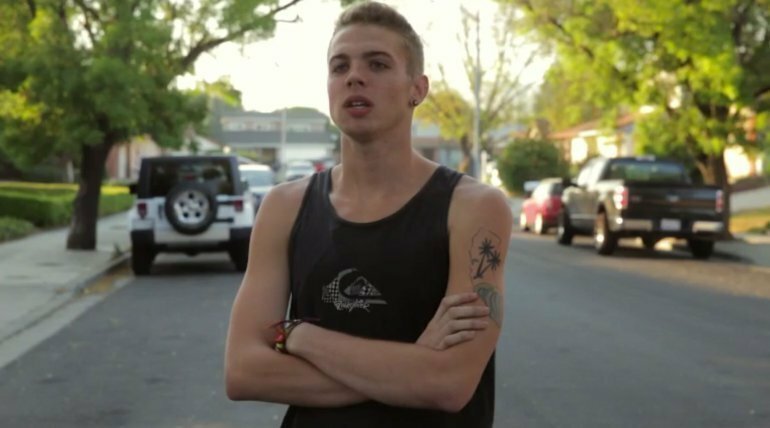 PLEASANTON, Calif. – Kaleb Pedersen says if he had it his way, he would rather be deaf. Kaleb Pedersen is part of a deaf family. He is the oldest at age 20 and says he prefers the deaf culture over the hearing world. The Pedersen family consists of Rob and Jamie and their children; Zane, Jax and Kaleb. They were all born deaf, except Kaleb. “Obviously, I didn’t choose to be the only hearing one,” Kaleb said. Thanks to his upbringing, Kaleb prefers Deaf culture over the hearing world. “There’s more of a sense of belonging in the Deaf culture. They just feel closer together than how hearing people act with each other,” he said. They’re among an estimated 1 million so-called “functionally deaf” people in the United States, and 70 million worldwide, according to federal and United Nations stats. Since childhood, Kaleb’s ability to hear — along with his command of American Sign Language — has defined much of his role in the family. His first language was sign language — English came later. When the family meets at restaurants, Kaleb orders for everybody. When the doorbell rings, he answers it. “If anything, I’d rather be deaf,” Kaleb said. “The biggest threat to our community is the pathological view … that something is wrong with us,” Crowley wrote. Crowley takes issue with some parents who let doctors implant hearing devices in their deaf children’s ears in an attempt to allow them to regain partial hearing. “More and more deaf babies are undergoing cochlear implants and being deprived of learning American Sign Language,” Crowley says. About 324,000 people worldwide have had these implants, according to federal stats. They’ve been FDA-approved for children as young as 1 since 2000. Here’s how cochlear implants work: a tiny microphone worn behind the ear sends sounds to an electronic speech processor which turns them into electric impulses, directly stimulating the auditory nerve which then sends the signals to the brain. The power of cochlear implants went viral across social media when video surfaced of a baby hearing his mother’s voice for the first time. The child’s resulting smile is positively heartwarming. In another case, a hearing father who had his 10-month-old deaf son outfitted with cochlear implants admitted it was a tough call. Crowley’s teenage son Zane doesn’t want it. A quarterback at the California School for the Deaf in Fremont, Zane did try using a hearing aid for a while. Crowley celebrated Zane’s deafness 18 years ago when he came into the world. It made her happy. “Being deaf is who I am — and now Zane is too.” It’s a bond no one can take away, she wrote CNN. Deafness is often passed to children from parents carrying specific genes. Other people become deaf as a result of various diseases. Crowley’s parents were a hearing couple. When they learned she was deaf, they moved the family from San Francisco to the East Bay area to “mainstream” her at a public school. There, she learned to speak and read lips, instead of communicating by signing. “I hated it more than anything when people asked why I spoke differently,” she recalled. She would explain her speaking voice by making up stories that she was from Sweden. She didn’t learn to sign until she met a deaf person in college. That experience solidified her realization that deaf children should be educated in separate schools. For her, it’s part of defending Deaf culture. In fact it was a deaf school in Washington, D.C. that proved to be the site of a watershed moment in Deaf cultural change back in 1988. Students at Gallaudet University felt like it was high time for a deaf person to lead the school. They staged protests aimed at putting a deaf administrator in charge. Protesters made international headlines when they boycotted classes, hot-wired buses and used them to block campus entrances. They shut down the school and marched to the U.S. Capitol, eventually winning their demands. Kaleb now works a couple of part-time jobs to save money for college. He’s thinking about studying to be an interpreter for the deaf — perhaps in the medical or legal fields. That path would seem perfect for the “ears” of the Pedersen family. Kaleb has already spent many years as a sort of bridge between his deaf friends and family and people who hear. Maybe someday he’ll turn his life experience into a profession. Jamie Crowley is the mom of 2 deaf sons, Zane and Jax and another son that can hear Kaleb. The Pedersens are featured in CNN Films’ new Digital Short titled, “All-American Family.” They’re among an estimated 1 million so-called “functionally deaf” people in the United States, and 70 million worldwide, according to federal and United Nations stats.